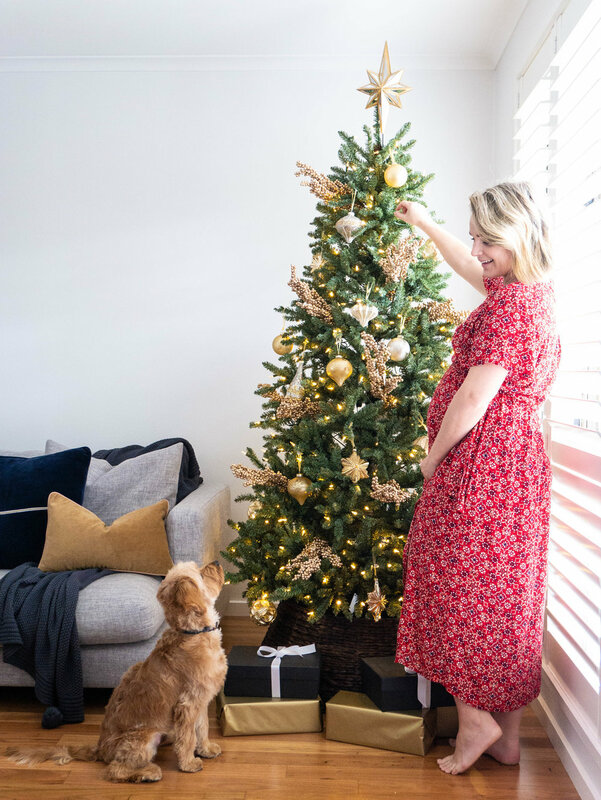 I can’t believe that Christmas is literally just around the corner, 33 sleeps to be exact and you know what that means - it’s time to get your Christmas Tree decorating on! With so many options for trees, decorations, baubles, lights, stars, wreaths, garlands it can be overwhelming. Once you have decided on your festive style it will make shopping and decorating so much easier! Are you a minimalist, do you like a natural look, are you a traditionalist, do you love all the bells and whistles? Choose something that works well with the style of your home and stick with it. Lighting up your Christmas tree will give it that extra bit of festive magic! Some people only use lights to decorate their tress, some trees come with lights already as part of the tree (life changing! ), adding a touch of sparkle will complete your Christmas look and you will love switching it on in the evening and watching it glow. I was lucky enough to style the amazing Canadian Blue Spruce Quick Set Tree from Balsam Hill which comes with lights already intertwined and can I just say that it’s gorgeous and SO much easier not having to wind fairy lights around it yourself! This comes down to personal preference… are you a festive green and red type? Are you all about the metallic? Are you inspired to take on a challenge and go frosty and white this year? Or choose a trendy look of pastels or copper? All options are beautiful and with so many choices available you can literally do anything that your heart desires! 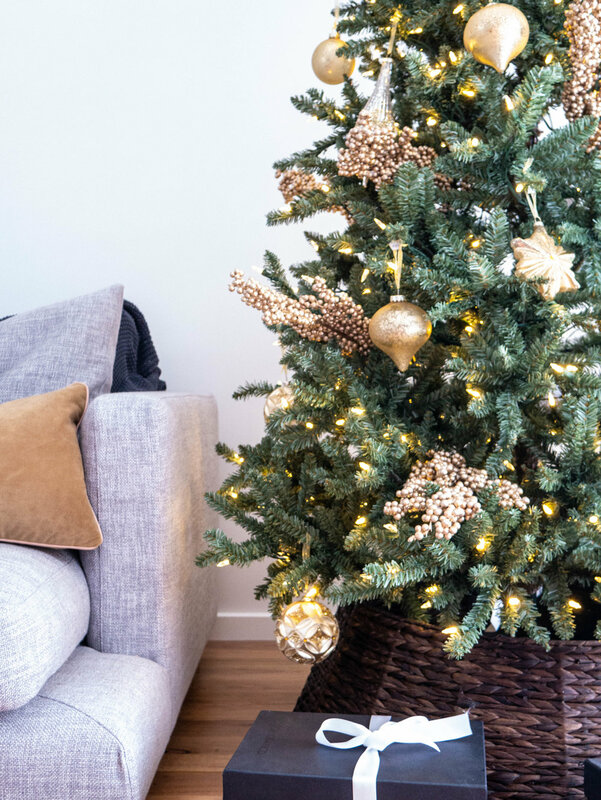 This year I have chosen a colour scheme of metallic silver and gold – it kept the overall look of my tree paired back to match my personal style , but it’s still sparkly and gorgeous! I used Balsam Hill Silver & Gold Glass Ornament Set and Metallic Berry Picks in Champagne to achieve this look. Think about the extra elements that will really finish off your tree. 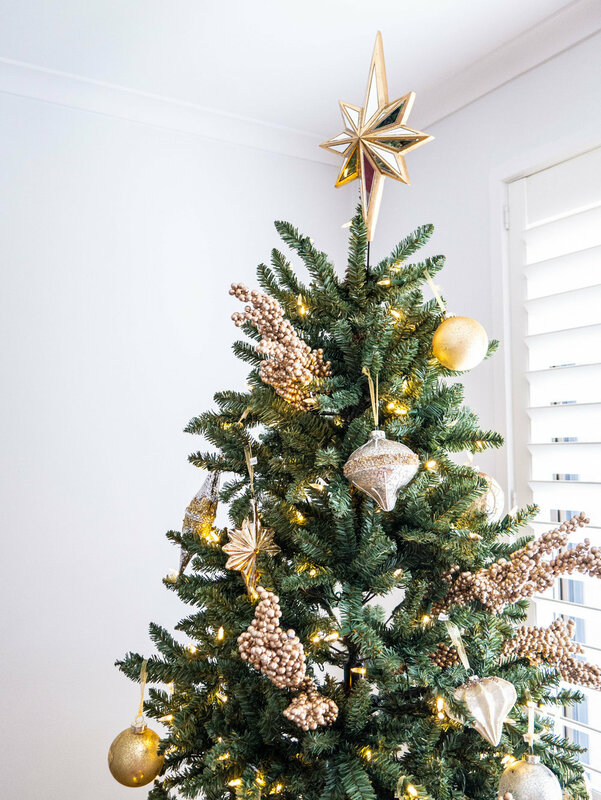 Adding a star or a Christmas tree topper will add extra personality and sparkle to your tree, I loved using Balsam Hill’s Double Sided Mirrored Star Tree Topper to complete my look, it worked perfectly with the silver and gold theme I chose. And don’t forget the bottom of the tree, covering up the stand will make your whole set up look 100% better. There are so many options to choose from nowadays… skirts, collars and stands! 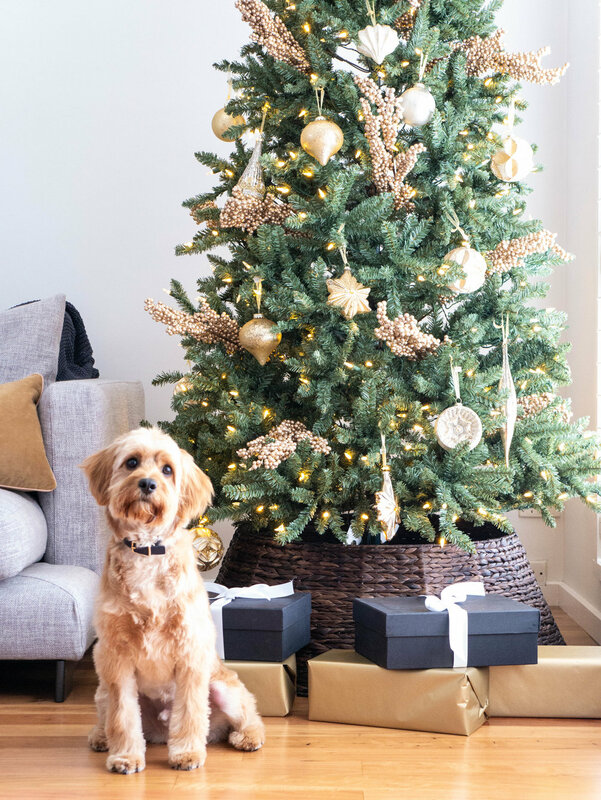 To keep my look understated I chose the Woven Tree Collar from Balsam Hill – it’s hand woven and creates a rustic textured backdrop for the presents under the tree which I love. Choose a position that is pride of place – when you have spent so much time making this tree beautiful it needs to be admired! A spot in front of the window is perfect as it ensures that it can be admired from outside too, especially gorgeous at night with the twinkling lights on! ** Disclosure - I was given the Balsam Hills Christmas products to trial, I wasn't paid to write a review.